The highest level of VPN protection available. Traditional VPN connections operate by connecting you to a chosen VPN gateway. It's a straight-line connection between you and the VPN gateway you want to use. 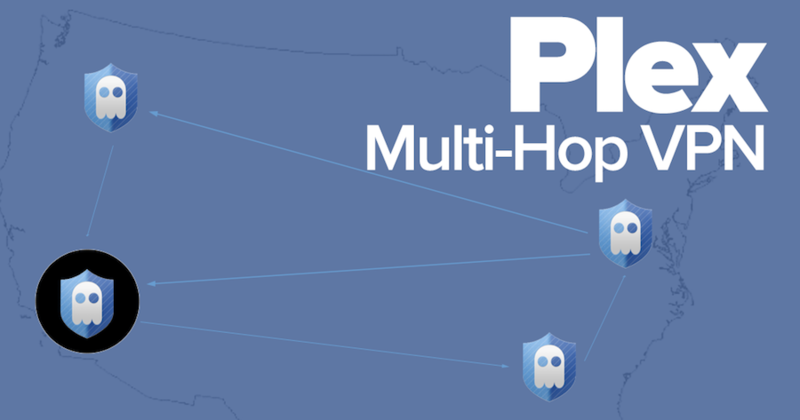 VPN is wonderful and offers a great level of protection, but you can be even safer with multi-hop VPN connections like Plex. When you connect to a Plex gateway your traffic goes to the gateway you choose, but then it also automagically bounces around our network and connects to at least one other server before out to the public internet and coming back to you. This extra step makes it impossible for anyone eavesdropping on our VPN gateways to ever be able to distinguish or track a single user's data as it crosses our network. There are a few Plex gateways ready to use right now. We will be expanding the number over time. Check the Ghost Path client to see the locations. The Ghost Path client is required to use Plex. All of your data is encrypted with a high-security key as it travels across our network. None of your private data is ever exposed. Plus, we never log your activity, ever.